Please read the contest information and Frequently Asked Questions before submitting your work. We are not currently accepting submissions. The selection committee is currently in the process of reviewing all contest submissions. We will be accepting submissions in the near future. Check back often, or subscribe, to stay informed. Contact us if you have any questions. Immigrant youth have energized the nation with their voices, their hope, and their activism. President Obama's recent announcement granting deferred action and work authorization to undocumented youth across the county marks a pivotal step on the road towards just immigration reform, but the work is far from complete. “Things I’ll Never Say” is a platform for youth across the country to create their own immigration narratives by boldly sharing their personal experiences through writing, video, audio, artwork, comics, photography and other forms of creative expression. Through sharing personal experiences, these youth are shedding light on what it is like to grow up as undocumented in the United States. 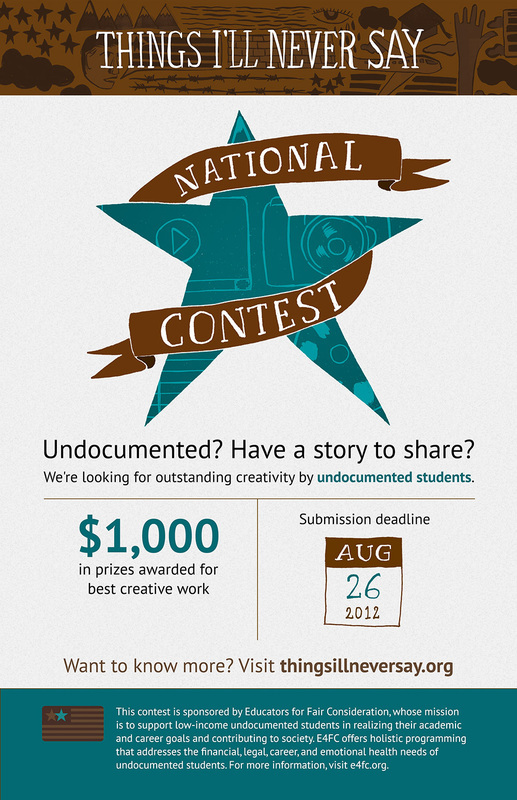 Seeking stories and artwork by undocumented students! Submit a narrative, video, audio, artwork, comic, photography or other creative expression conveying any aspect of your immigration story! Submissions will be judged based on overall creativity, originality and relevance to the undocumented experience. All submissions will be considered for publication on www.thingsillneversay.org. Multiple submissions are accepted, but no more than one submission per creative medium. 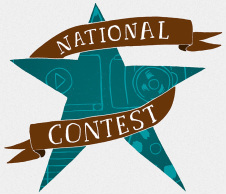 Up to 5 prizes totaling $1,000 will be awarded! This contest is sponsored by Educators for Fair Consideration, whose mission is to support low-income undocumented students in realizing their academic and career goals and actively contributing to society. E4FC offers holistic programming that addresses the financial, legal, career, and emotional health needs of undocumented students.